A highly desirable limited edition of only 20 pieces, the Palais Tsarskoye Selo Blue John locket features purple guilloche enamel and round white diamonds, set in 18 carat yellow gold. In keeping with its fondness for delight, surprise and discovery, Faberge has concealed a hand carved Blue John flower inside the locket. It has been exclusively designed in celebration of C W Sellors 40-year anniversary. 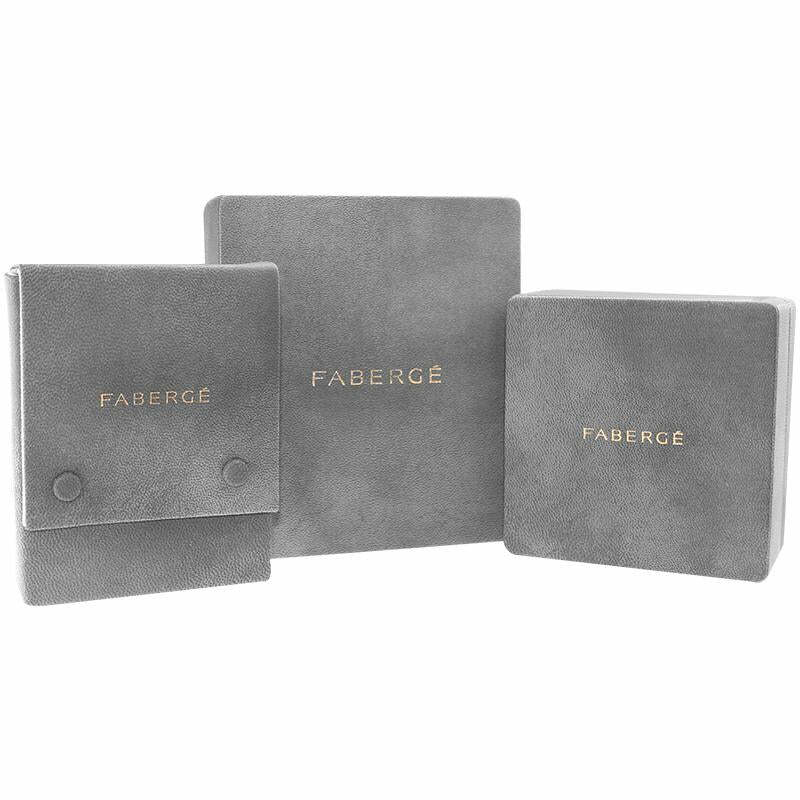 We have had a long relationship with Faberge and so it is only fitting that our two companies have collaborated to bring you a world first in jewellery design. A key part of C W Sellors heritage, Blue John is one of the first gemstones we started working with and has remained a signature part of our collections over the years. It will be the first time Faberge have crafted pieces using British gemstones, and we are proud and privileged to elevate our local gemstone into the world of luxury jewels. Blue John is a semi-precious gemstone and is considered one of the rarest minerals in the world. A unique type of fluorite, it is found solely in Treak Cliff Cavern, Castleton, in the Derbyshire Peak District National Park. Blue John varies in colour and pattern, so that each gemstone is individual and beautiful. Our skilled craftsmen work with the natural material, transforming each stone into a unique, finished piece that brings the beauty of Blue John to life. 18ct yellow gold. 15 round white diamonds, 0.29cts (G VS+). The Egg pendant is 22mm and hangs on a 50cm, 18ct yellow gold chain. This pendant locket comes beautifully packaged in a unique Faberge presentation box with certificate of authenticity. PRE ORDER NOW FOR DELIVERY IN APRIL 2019.